This is the sophisticated, park front, rustic revival that you have been searching for, perfectly located near the Pier Village. 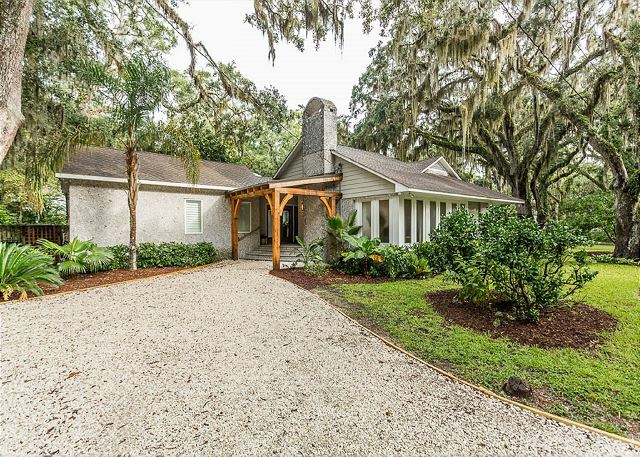 This three bedroom three bath house is a perfect combination of forgotten St Simons charm and modern conveniences. There is a gourmet kitchen with a gas stove, island, microwave, coffee pot, and everything you might need to whip up your favorite meal. The washer and dryer are HE front loads for your convenience. 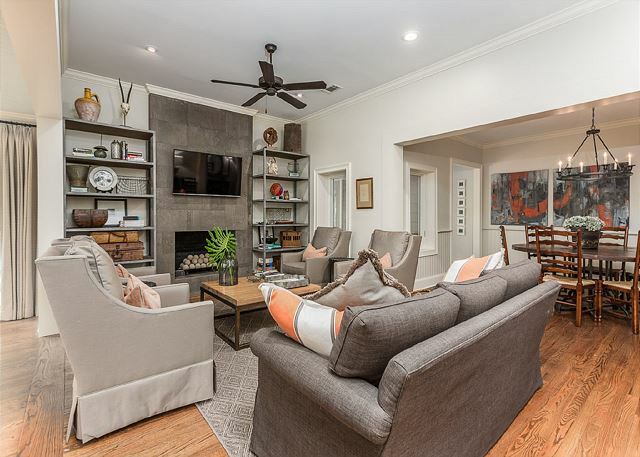 The large open living space offers formal dining that seats eight and a large HDTV hanging over the gas fire place in the living room. There is an additional space off the living room where you can set up the kids to eat while the adults converse at the “grown up” table. With a split floor plan, there are two master bedrooms with king beds and HDTV’s in each with large private bathrooms. One bathroom has a standalone shower while the other has a standalone shower and a huge soaking tub for relaxing after a long day at the beach. The additional third bedroom has a queen bed, a day bed, and a private bathroom with a standalone shower. There is off street parking for about four or five cars, depending on size. This property is perfectly located near the Pier Village and Neptune Fun Zone. The Pier Village offers shopping, restaurants and fishing as well as two different play grounds. There are public grills and park benches to utilize. Neptune Fun Zone offers a pool and putt putt golf course. King’s Park has a playground, tennis courts, and ball fields. All these things are less than a 5 minute walk from the home. 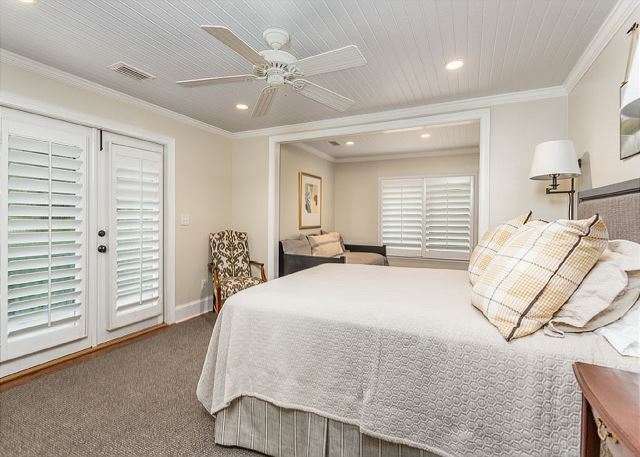 You will see that after a stay in this home, you will leave refreshed, rested, revived, and ready to plan your next visit to St Simons Island.